So happy you’ve stopped by to either share your recent projects with us, or to get inspired by all the ideas that are linked here. Maybe both! We love reading about your decorating, DIY projects, gardening tips, recipes and more. 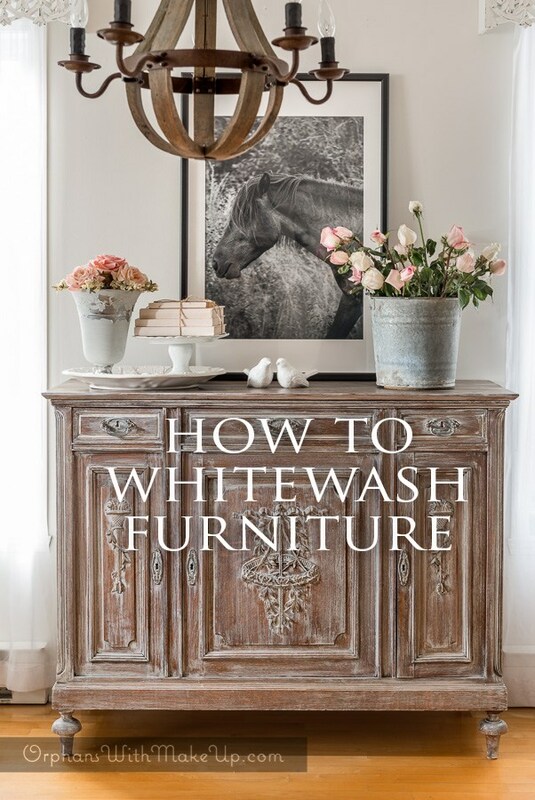 Mary of Orphans with Makeup showed us how to whitewash furniture. She whitewashed this antique oak Renaissance-style buffet, highlighting more of its beauty! 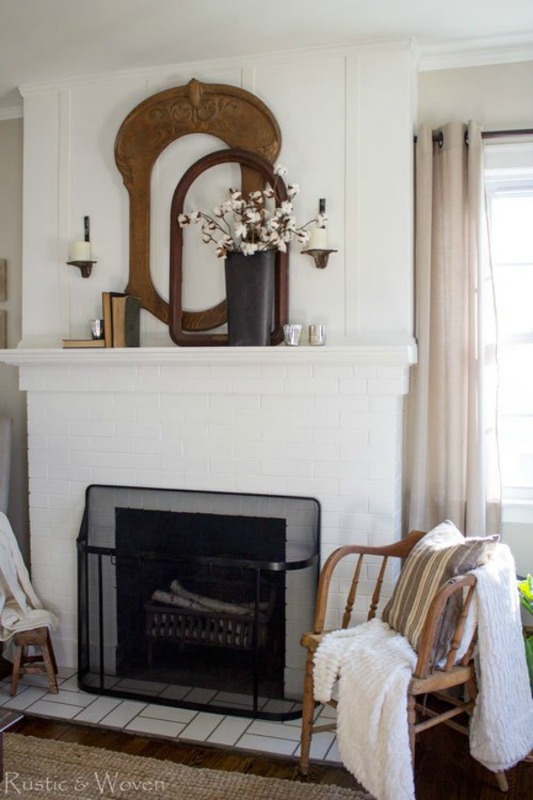 This cozy winter mantel was created by Tonya of Rustic and Woven. 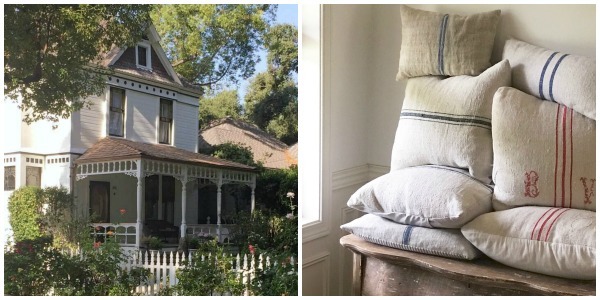 She used soft and airy winter whites, paired with woods and cotton stems, for a calming, restful space. 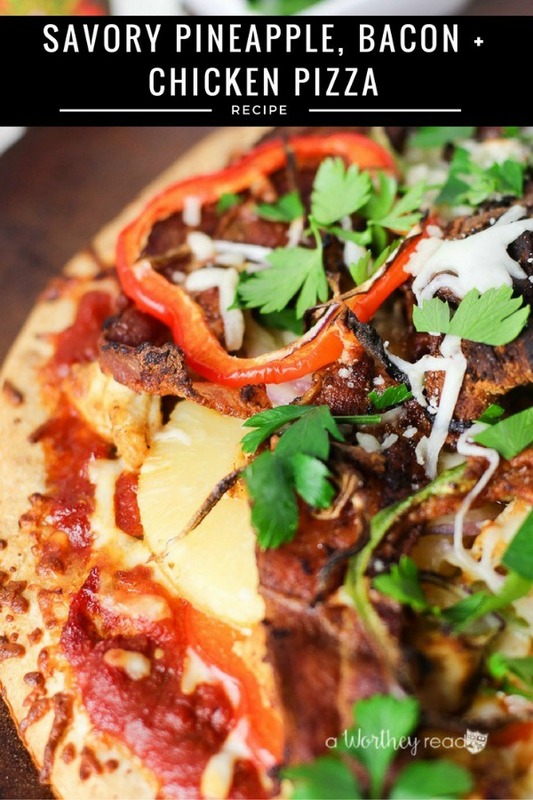 A Worthy Read author, Tatanisha, shared a recipe for the kind of pizza I personally enjoy… What’s not love about pineapple, bacon and chicken pizza? Congratulations to our featured bloggers! We will be sharing your beautiful work on our Sundays at Home Pinterest board & on our FB pages and Instagram accounts throughout the week. Follow our board & pages to see. Thank you Susan for hosting this weekly party. Hope your weekend is great! Susan, thank you so much for hosting! have a great weekend! Thank you for Sundays at Home 143, appreciated. Thanks for hosting; hope you had a wonderful weekend! Thanks for the party and the feature. Have a great day. I adore all of the great inspiration! Thank you so much for hosting.